Most if not all disease may result from B-complex vitamins and Potassium deficiency. B vitamins assist the body's damage repairing capabilities and activate all organ functions. 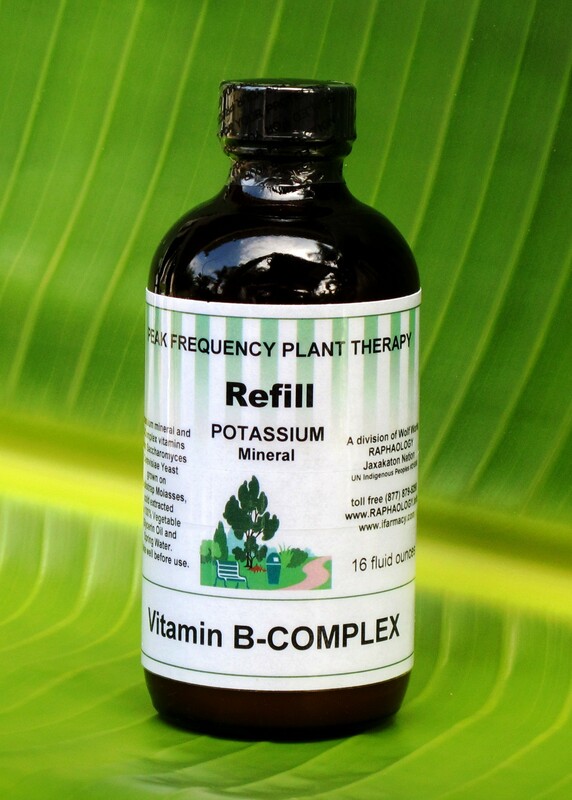 B-Complex with Potassium may reduce and eliminate the stress of city living, emotional, mental, and physical upset, and environmental, pharmaceutical, and household chemical pollutants, as well as excess stomach acidity, tense muscles, and tension headaches all of which deplete B-vitamins and Potassium reserve. Metabolism and digestion are dependent on B vitamins, especially B12, and nausea and morning sickness are lack of B6. The best defense against stress, indigestion, acidity, fatigue, headaches, backaches, stomach aches, tension, allergies, gluten intolerance, Candida, osteo-bone loss, and immunological disorders may be B-Complex with Potassium. Most if not all disease may result from B-complex vitamins and Potassium deficiency. B vitamins assist the body's damage repairing capabilities and activate all organ functions. B-Complex with Potassium may reduce and eliminate the stress of city living, emotional, mental, and physical upset, and environmental, pharmaceutical, and household chemical pollutants, as well as excess stomach acidity, tense muscles, and tension headaches all of which deplete B-vitamins and Potassium reserve. Metabolism and digestion are dependent on B vitamins, especially B12, and nausea and morning sickness are lack of B6. This product is kosher, Candida free, from live saccharomyces cerevisae yeast grown on blackstrap molasses and boosted with vegetable glycerin oil.